I was tending the Mystera booth at the 2014 Kitchen and Bath Industry Show (KBIS) answering attendees questions about Mystera, when a gentleman walked up and started asking about the product. I shared with him that it is a solid surface product made of 100% acrylic resin, similar to Corian®. This entry was posted in Featured Solid Surface Projects, Solid Surface Showcase and tagged mystera, shower surrounds, shower walls, solid surface on April 3, 2014 by Ed. 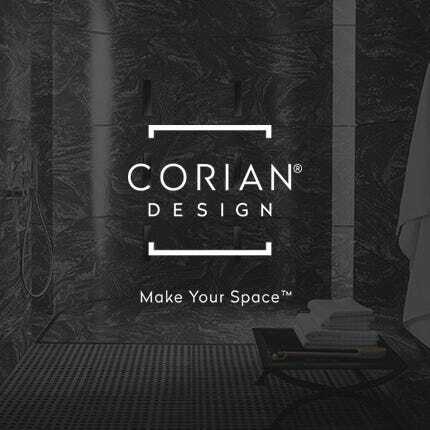 There are many compelling reasons to use Corian® or another solid surface material in your bathroom. These range from aesthetics, to ease of cleaning and its antiseptic properties, to its durable nature. And if that’s not compelling enough, did you know…if you’re like the average person, you will take a shower 7,300 times in your lifetime? That’s a lot of time spent in your shower space. If that’s not a compelling enough reason, we don’t know what is! Mystera Solid Surface used for bathroom countertops, shower walls, and wainscoting. 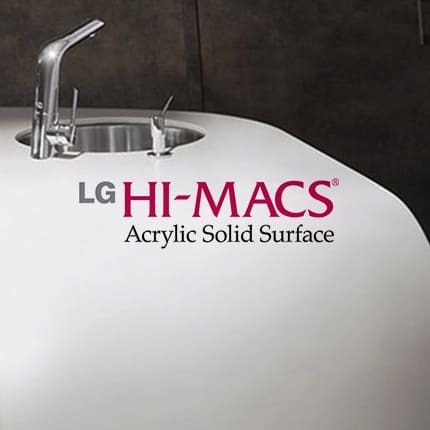 Corian® and solid surface material can be found in virtually any color and hue. There are solids, small and large particles and veined or swirled patterns to choose from (See Image 1. Example of veined product called Mystera.) It’s as simple as choosing that perfect color to adorn your walls from the lists of hundreds of solid surface colors available. Cleaning solid surface is a breeze compared to tile, granite, cultured marble, natural marble and quartz. Tile has grout lines that can collect soap scum and mold and granite is porous and easily stained. Cultured marble possesses a gel coat finish that is vulnerable to scratches and natural marble can be eroded with acidic cleaners. You also need to be careful not to scratch quartz with abrasive cleaners. In sharp contrast, you can easily clean and remove stains and scratches from solid surface using cleaners like Comet and by simply using sand paper. 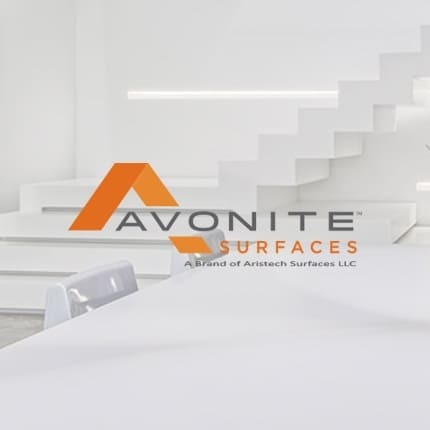 Durability is also a hallmark of solid surface materials. It is nonporous and invites the use of both abrasive and chemical cleaners. This nonporous quality also effectively inhibits the growth of mold, mildew and bacteria, making it a perfect candidate for your shower or bath. 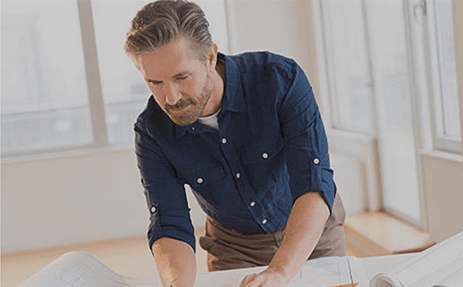 So, you’ve decided to surround yourself with Corian® or another solid surface material for one or more of those “7,300” showers or baths that we mentioned previously. 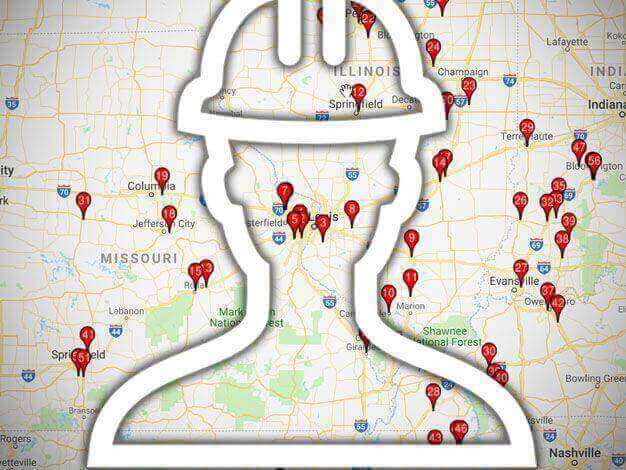 Now it’s time to get down to the nuts and bolts of installation. Let’s start out determining how much material will be required. For bathtub surrounds the long wall will need two sheets. Two sheets may be needed for the end walls as well, depending on the size of the tub enclosure. Showers may or may not need more than one sheet per wall, but most will likely have at least one wall that will. Shower and tub surrounds are usually made from 1/4″ solid surface material, but 1/2″ material can just as easily be used, it’s just not as flexible and heavier. Since existing walls are not always square, it may be necessary to scribe a wall sheet in order to get a good fitting corner. Rough cut the sheets with any type of saw and then route them to remove any rough areas left by the saw blades. Dry fit the sheets to see if adjustments to the edge of the sheet are needed. 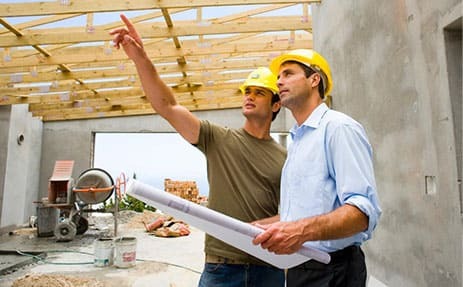 Scribing is one of the key techniques for installing material against odd shaped or crooked walls for a perfect fit. Once a line is scribed using a pen and compass, it’s a simple matter of cutting or sanding off the excess material to create the correct fit. If the wall is narrower than 30″, use a narrower, square sheet of material, scribe it, and then transfer the scribe to the actual piece. Make sure to leave 1/8″ for expansion and contraction between sheets on the long wall(s), in the corners, and at the bottom. Cutouts for the faucets and other fixtures can be made with a router or hole saw. Finish off this part of the job by sanding the edges of these openings to remove any chips. Dry fit the pieces and make any necessary adjustments. 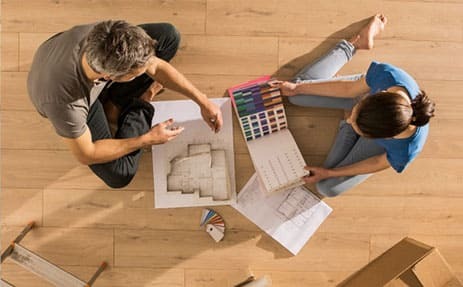 You can bond the solid surface material to any wall that is constructed out of water resistant drywall, cement board or the previous wall if it is sound and water resistant (but not particle board). Coat the surface with a white primer suitable for adhering properly to that type of surface to keep this wall from showing through the 1/4″ solid surface. For 1/2″ solid surface this is not as likely to happen. Adhere the solid surface to the wall using 100% silicone sealer and some hot melt glue. Apply the silicone to the backside, one inch from the edge around the perimeter of the solid surface sheet. Dot the inner part of the sheet with thumb size daubs of silicone in a 12” grid pattern. Once the silicone is in place, apply the hot melt glue to the wall in several places (do not apply it to the solid surface, as it will set too fast.) This will help hold the sheet in place until the silicone dries. Quickly press the sheet in place and hold for a minute or two while the hot melt glue cools and sets. Batten strip, or turn around and use as corner molding, for covering shower wall seams. Adhere to wall with silicone. Batten Strip—a batten strip made of 1/4″ or 1/2″ solid surface can be used to cover the seam in the long wall. It can be whatever width you like, but about 1-1/4″ to 1-1/2″ is good. Take a look at the batten strip from 1/4″ material in Figure 2 below. It has 45-degree bevels on the two edges that leave 1/16″ of the edge unbeveled. Place two small beads of silicone on the full length of the backside of the strip and position it over the seam and press it into place. You can use hot melt glue or tape to hold it in place. Remove any squeezed out adhesive with denatured alcohol on a white cloth. Corner Moulding—use the exact same strip to cover the corner seams. Invert the strip in the corner so it spans the corner at a 45-degree angle. Apply small beads of silicone the full length of the strip and press into place. Treat any adhesive squeeze-out as discussed above. Use tape to hold the moulding in place until the silicone sets. Edge Trim— For 1/4″ thick walls, the trim to go around the top and sides can be created from 1/2″ thick solid surface. Cut a 1/4″ deep notch (rabbet) in a 1-1/4″ to 1-1/2″ wide strip of 1/2″ solid surface. Ease (round over) the outside corners and edges of the trim strips. Fasten the trim in place by using silicone on the part of the trim that laps over the sheet on the wall, as well as to the trim that butts against the original wall. Trim is not needed for a 1/2″ wall. Instead, use a router to create an edge profile or just ease the edge. Cut them by using a mirror cut and then use a tongue and groove or a wavy edge seam router bit along the joining edges. Using one of these style bits will make it easier to align the two sheets when joining them with adhesive. This also reduces the amount of sanding needed to make the two sheets flush. Fasten this sheet to the wall by apply a large bead of silicone to the backside of the seam, in addition to the normally applied silicone detailed above. 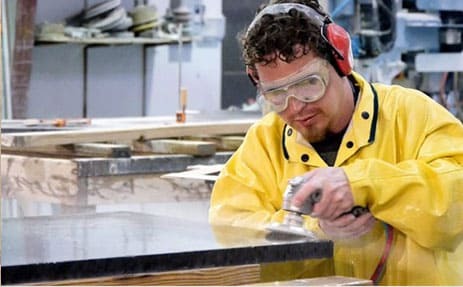 Visit our Working With Solid Surface and SolidSurface 101 guides to learn more great fabrication techniques. This entry was posted in Featured Solid Surface Projects, How to ..., Solid Surface Showcase and tagged how to, molding, mystera, shower surrounds, shower walls, solid surface, vertical applications on October 31, 2013 by Ed.